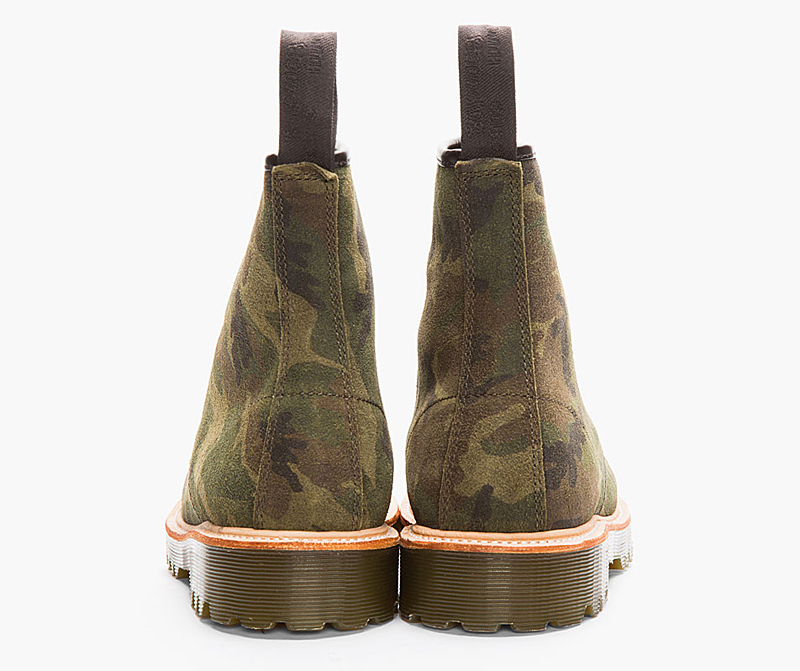 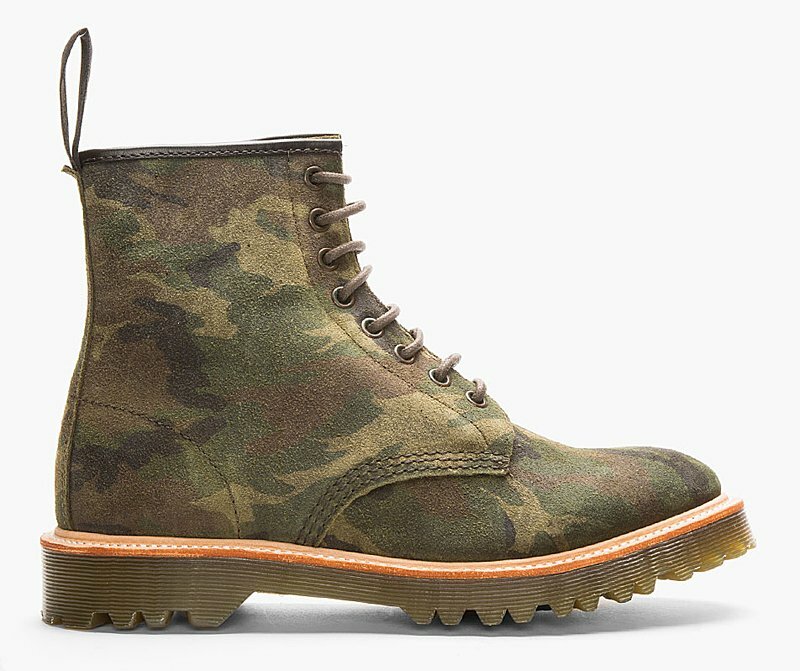 Dr. Martens give its signature 1460 boot a military makeover. 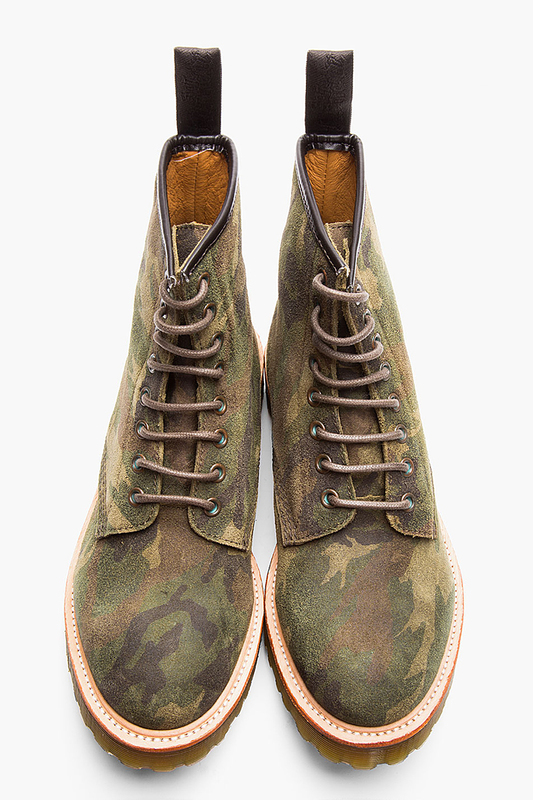 The green suede upper and its camo pattern are at home on the streets and in the woods. 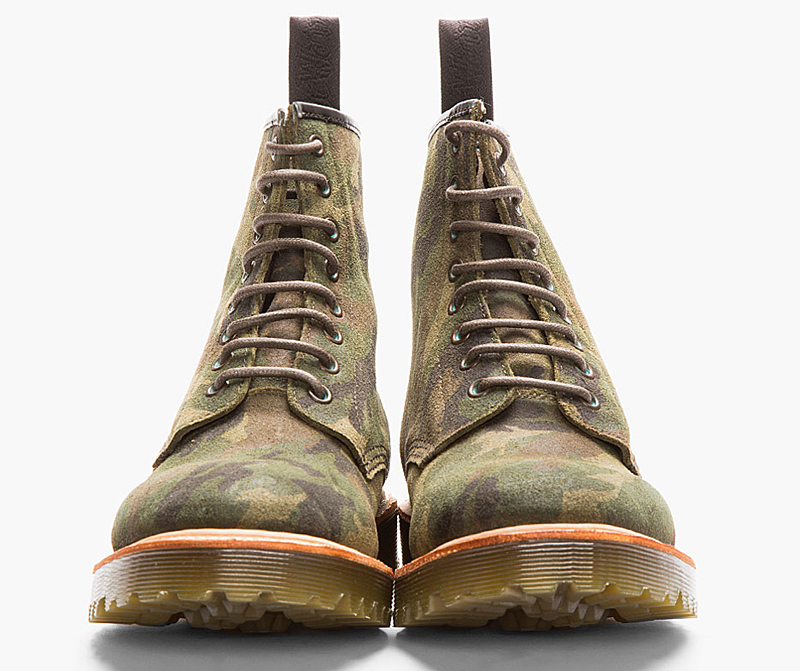 Also available from Ssense. 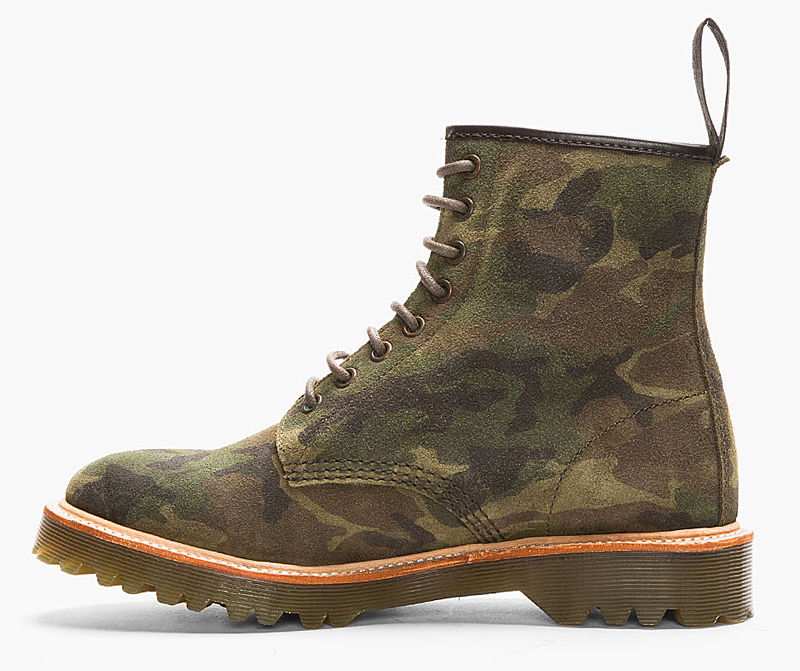 Check out the 1461 camo if you prefer low-cut shoes.